With the rise of the number of people posting their trim bodies on social media, living healthy has become a trend. To get that trim and fit body though, people have worked their hardest to achieve those abs and muscular legs. They follow a certain routine to gain and maintain their physique. If you want to achieve a lean physique or at least shed a few pounds, the best way to start is by planning your routine and by making a log of how your workout went. The Sample Sheets in this article are dedicated to helping you keep a log of your fitness regime to achieve your fitness goals and targets. It can help you focus and be productive when it comes to working out. Why Keep a Workout Log? You can learn a lot by logging your workout sessions. There is room for correction and improvement if you write the details of your workout. 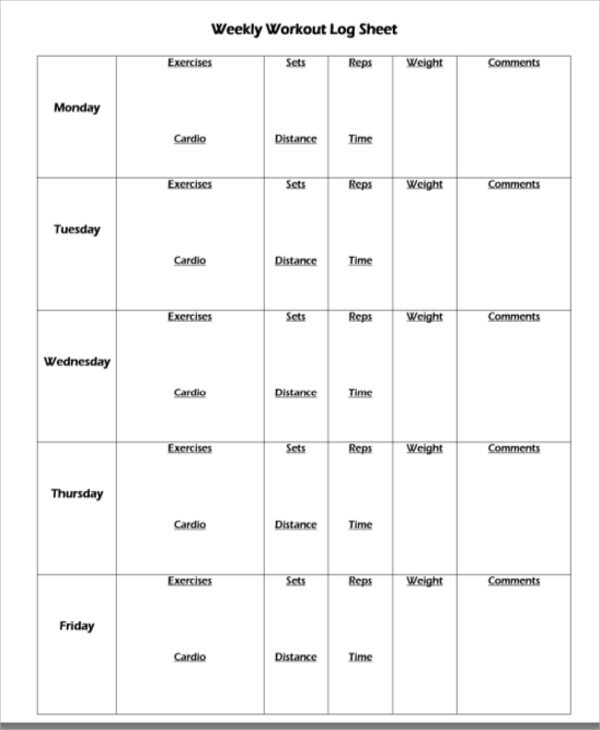 You are able to keep a record of the materials you used for specific routines. You will be able to determine if there is a pattern when you execute the exercises because you will be able to see how you perform on a day-to-day basis. You can easily track your progress and ask help from the experts about what you can do to improve or maintain your progress. It can be a tool you can use to keep you motivated and focused on your goal. You will be able to adjust your goals depending on your log. Planning your workouts ahead of time will lessen your dilemma about what type of workout you will do for the day. You can opt to consult fitness experts such as trainers in order to help you out with a workout program appropriate for your body’s capacity. Doing so can help lessen injuries and overworking of your muscles. Writing your planned workouts in your log will make it more convenient and all you need to do is to write down how many you did for when you execute the exercise. 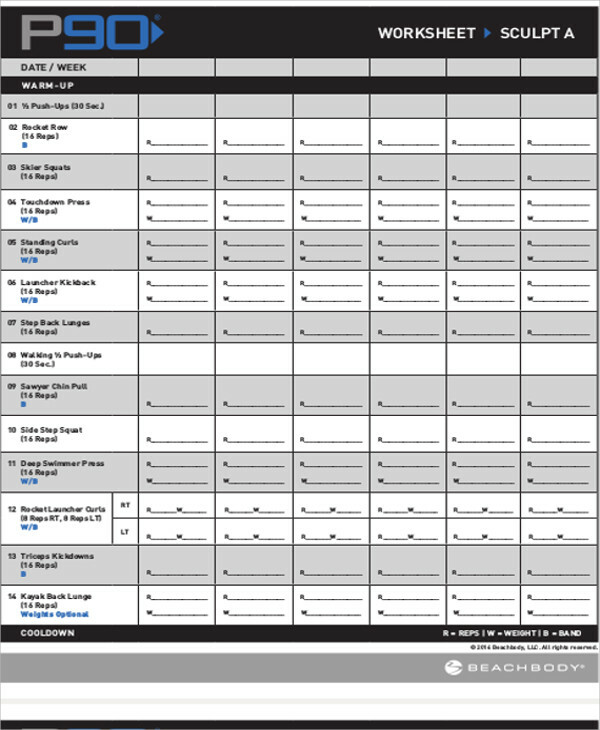 You may also want to check out Sample Workout Sheets. What to Include in Your Workout Log? You can start your log by writing the date and your weight before and after doing your routine. You can write down what you did for your warm-up before starting your workout. Write down if there was anything new with your routine or if you learned a new skill while doing your workout. You can write down how many repetitions and sets you did for your workout. Write down your cooldown routine. You can also take note if you are drinking enough water. Why Use Blank Workout Sheet Samples? 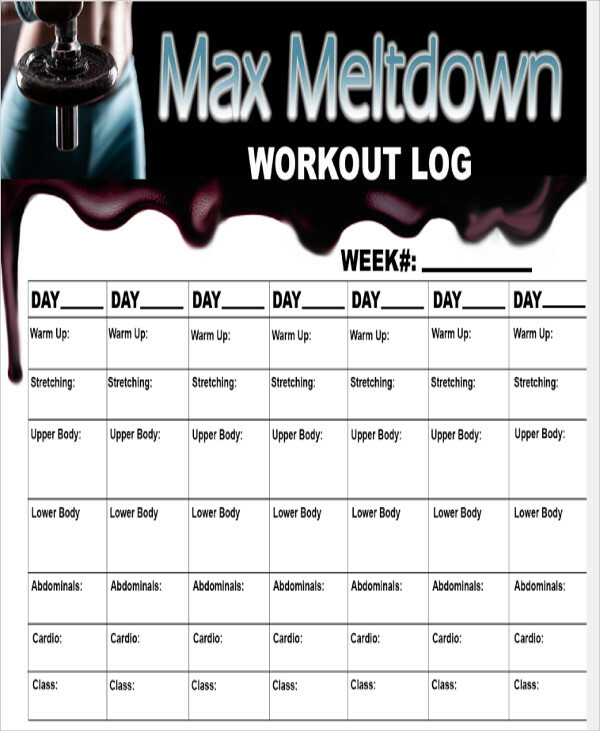 Most of the workout log sheets presented in the article are in PDF (.pdf) format and will be pretty easy to save on any device because this format is highly compatible with various devices. These will not take up too much space in your storage and can be easily downloaded through this article. You just need to click on the green Download button of your chosen document. 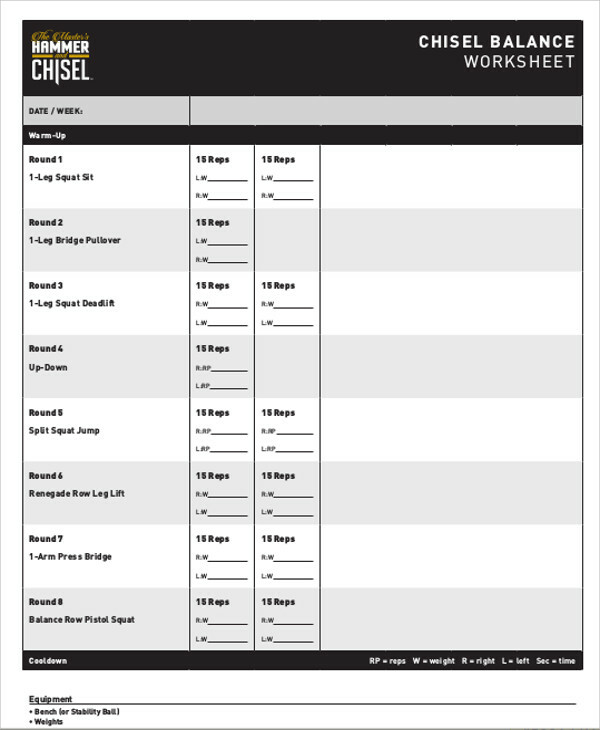 These workout sheets can be personalized according to your exercise needs. These can help keep you motivated about your routines and avoid skipping any sessions. You can also track your workout habits and you can also see your progress through your workout log and change a few of your routines depending on your progress. 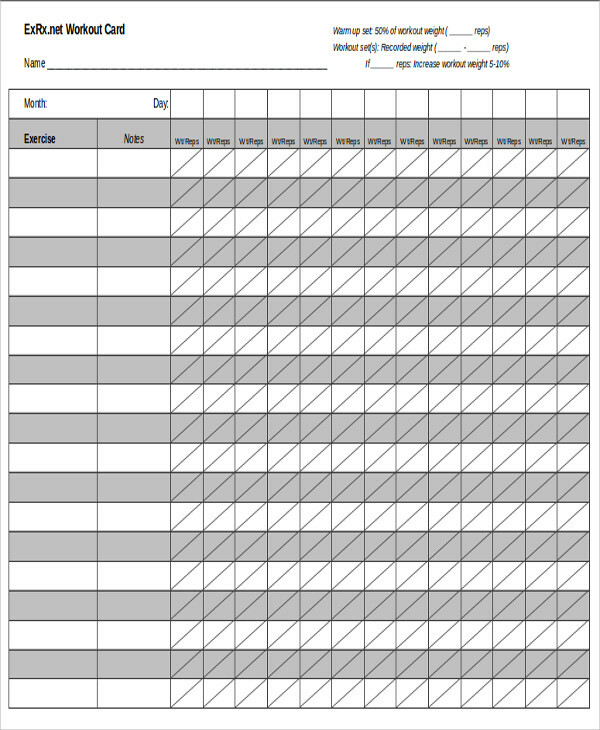 You can also check out our Weekly Time Sheets.